This week I celebrated a birthday and I was more than overjoyed by the love I received. After a weekend of “good times” with my closest friends, I wanted to spend my special day doing something I’ve never done before. 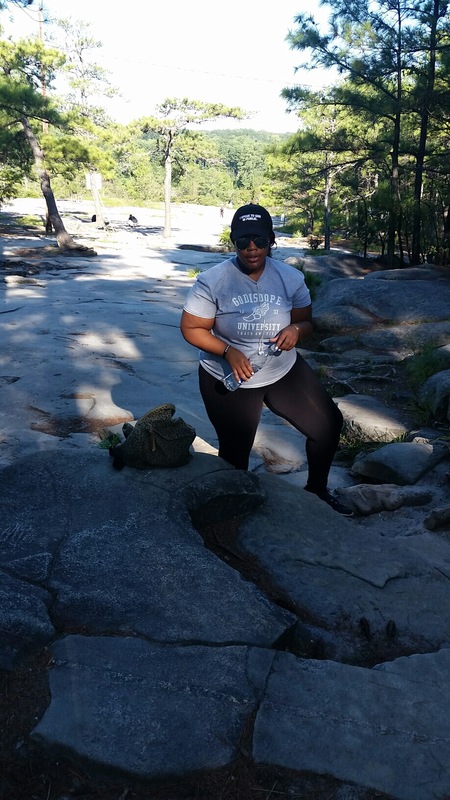 I wanted to climb Stone Mountain …. And I did it !!!!! I am not the workout type of girl. This idea came to mine because I knew climbing a mountain is out of my comfort zone. I knew it would be a strong challenge. I knew that I had it in me to achieve this challenge. But I also knew that I had it in me to take the easy way out of this challenge. My journey up the mountain started off silent. But soon turned into lots of doubt, heavy breathing and many rest stops. It took an hour to get half way up the mountain and about another hour for finish. During my many rest stops, I thought about giving up and going back down the mountain to flat ground. I wanted to quit because the mountain was super steep and I was physically uncomfortable. But each time I stood up to walk back down the mountain I saw someone pass me that gave me motivation to keep pushing. 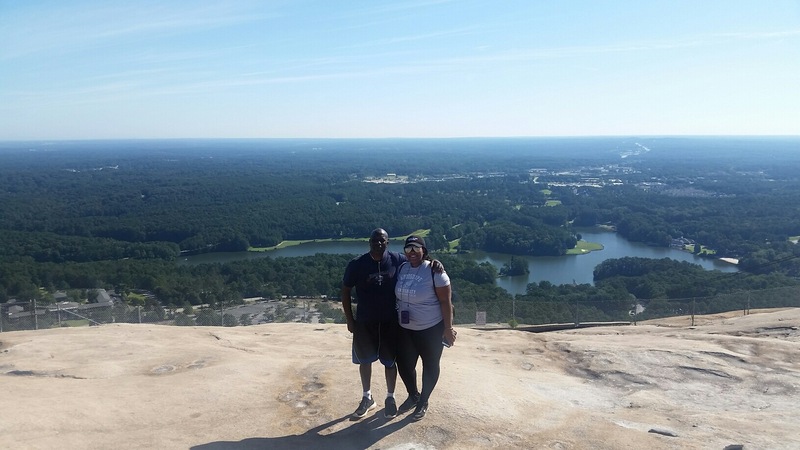 I saw a elderly man with two walking sticks walking like climbing that mountain meant nothing; if he can do it so can I.
I saw a father with his small daughter, maybe 5 years of age- I overheard the little girl say that it was her third time up the mountain; if that little girl had the courage to take on Stone Mountain so can I.
I saw a couple pushing one another to make it to the top- I want to be able to do that with my husband someday; if they can do it so can I.
I saw my father (who has had several back surgeries, but loves to stay fit) conquering that mountain like he was walking on water; if he can keep pushing so can I. 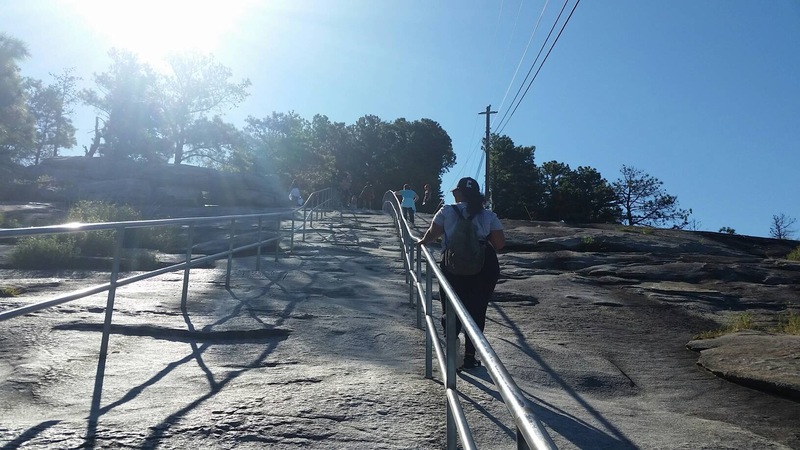 As out of shape as I am, I continued to push myself up that mountain in the Georgia heat. Let me tell you, the second half of the mountain is not friendly at all. I thought I wouldn’t make it several times. But as we reached the top of the mountain, I slick dropped a tear. The breeze felt so good on my sweaty skin. But just to know that it was over, that I made it to the top was such a happy feeling. And the view… the view is simply amazing. Honestly, I thought I was crazy for even wanting to do it. But I am soooooo glad I did. I proved something to myself. I have always known that I can do anything I sit my mind to do. 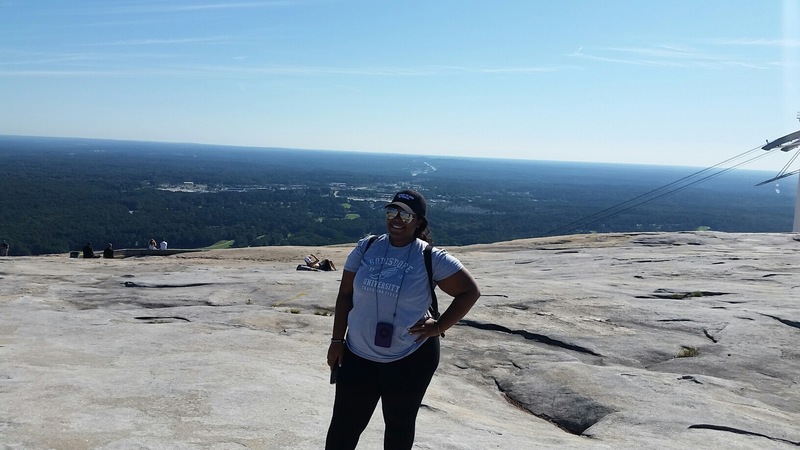 But the challenge of climbing the mountain was reassurance that nothing can get in my way if I don’t let it. Happy Birthday to me !!!!! Happy very belated birthday! I really liked this post haha, it kind of made me feel inspired to do things I wouldn’t normally do you know? I can definitely relate to being out of shape but I like that you persevered and powered through and managed to do it! I absolutely want to try something this challenging someday, and hopefully I’ll be able to complete it. I hope you have a great year!